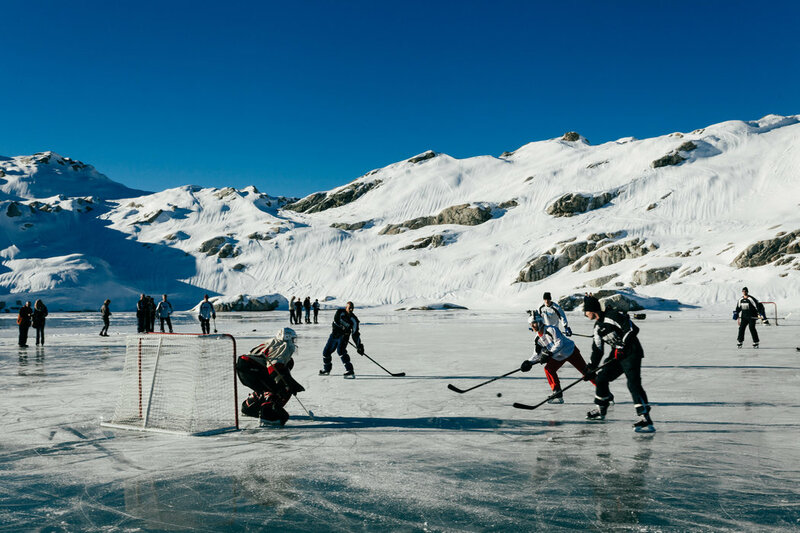 A group of high-level hockey players recently played three hours of four-on-four games in the mountains of British Columbia. VANCOUVER, British Columbia — On a recent Friday afternoon, a once-in-a-lifetime opportunity arrived in the form of a text message to many of Vancouver’s elite hockey players. It was a last-minute, impromptu invitation to perhaps the world’s most scenic and unorthodox pickup pond hockey game. With the instructions vague and the destination unknown, the message read like a top-secret mission. Early the next morning, on Nov. 28, the selected players met at the mouth of Pitt Lake, where a jet boat escorted them through a trail of fog to an isolated beach….